But there are plenty of things you need to know before you jump on the seat. 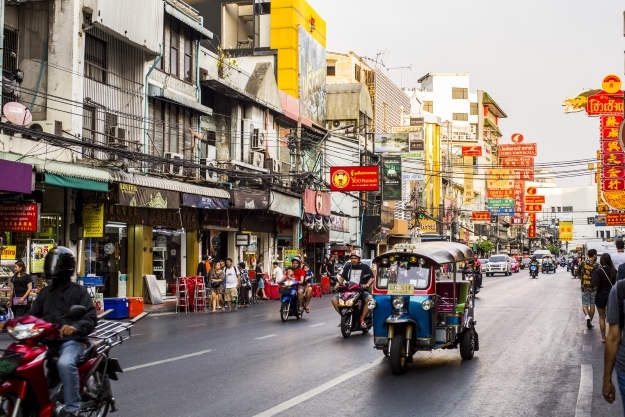 Touching on insurance, licenses, road trips and safety, check our complete guide to scooters in South East Asia to make sure you are fully prepared before your Vietnam holiday. Don’t restrict yourself to zipping around town on your scooter. Be bold and be adventurous. We have mapped out two of the best road trips in South East Asia that even a beginner can tackle. This is one of the most iconic routes in Thailand. Starting and finishing in Chiang Mai, the Mae Hong Song Loop guides you along stunning mountain paths, past rivers and through remote villages. This is a trip that can take 2-3 days if you are looking to complete the entire loop, but if you haven’t got that much time on your holiday then you can head to a number of sites along the way. You will find numerous hiking routes that you can take along the way which will all encompass stunning views and even opportunities to go rafting if you so wish. You will pass through Chiang Dao, Pai, Mae Lana and more, but savour your time in Soppong. Otherwise known as Pangmapha, this is a very tranquil place. This is a relatively easy route that can be tackled by beginners, but you will definitely need to wear a helmet and some form of suitable clothing as you tackle its famous 1,865 curves and corners. A bit more challenging than the Mar Hong Song Loop, this is another short road trip to tackle if you have some time spare during your Vietnam holiday. 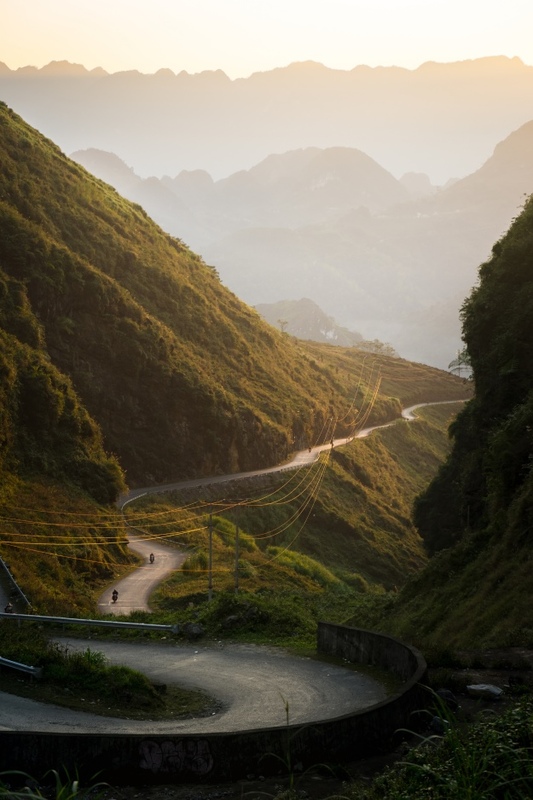 The Ha Giang Province in the north of the country is regarded as its final frontier, with a mysterious atmosphere that has some natural sights that you won’t be able to find anywhere else in the world. Ride along the side of incredible rice terraces, granite outcrops emerging from the mist and staggering limestone walls, the exciting trip carved out of the ancient hills is a beautiful experience. Maybe this is your first road trip on two wheels, or perhaps you are a scooter-sceptic, whatever your feeling is, this will make you fall in love with not only your bike but also this incredible corner of South East Asia. Travellers’ insurance will cover you for any injuries, but be sure to check with the provider. You will need to assure that your policy covers you for any ‘high-risk activities’ – or similar – which should cover you for riding scooters or motorbikes in South East Asia. 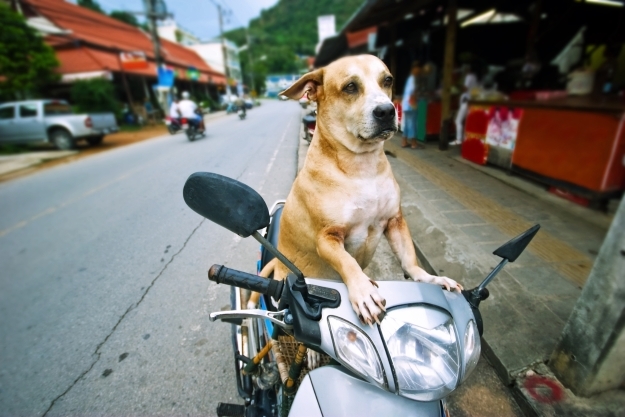 “Injuries from motorcycle accidents are one of the most common causes for travel insurance claims in South East Asia. Burns to the lower leg from the hot exhaust pipe are so common in Indonesia, they are called a farang tattoo. Farang is the Bahasa word for foreigner. Take no risks and get Medical Evacuation Insurance (MEI). MEI will cover the transportation costs to the nearest centre of medical excellence in the event that the treatment is not available locally in an emergency. That is the important bit. You are going to want to explore as much of South East Asia as possible on your new ride, but this can mean that you often venture into remote and rural corners. Having evacuation insurance guarantees you the best quality of treatment, should the worst happen. Evacuation cover does include an option for you to return to your country of habitual residence, or nationality, to receive treatment and compassionate visits for a spouse, parent, child, guardian or sibling to be with you. Now, when you ride in South East Asia, or are about to, you may hear a number of different stories as to what license you actually need when for a scooter. In short, if you are from the United Kingdom, Ireland, New Zealand or Australia you absolutely must have a valid motorcycle license from your native country. “To be covered by travel insurance you need to either have a valid motorcycle license from home OR a valid local license. Getting a valid local license means sitting a local test in the local language – or in some cases a much simpler test to be issued with a recognised ‘tourist permit’. “But the local police and legal system may have different criteria. Make sure you understand local legal requirements, and do not assume you are operating within the law. Sadly ‘but everyone else was doing it’ is not a legitimate legal defence. 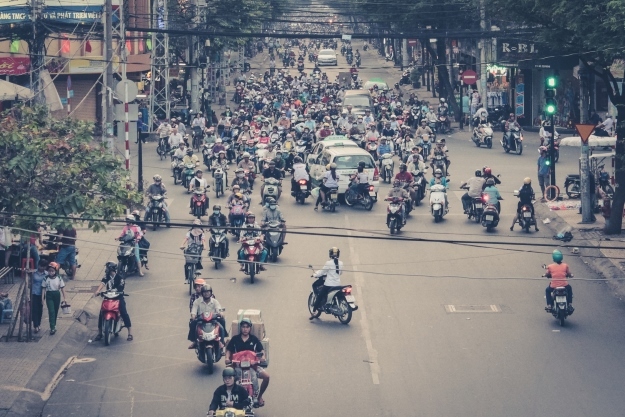 In the UK for example, it can cost in the region of £600 to obtain a full motorcycle license which might seem steep if you only ever intend to ride for a short period during your Vietnam holiday. What about an International Driver’s Permit? The AA recommends that you have an International Driver’s Permit (IDP) in a total of 140 countries around the world. These range from Argentina and South Africa to the United States and Chile, but does also include Thailand, Laos and Indonesia. It does not apply to Vietnam and Cambodia. Valid for 12 months, you must carry it along with the license from your resident country: “In most South East Asian countries the IDP – International Driver’s permit – is recognised,” said Phil, “but the IDP is NOT a license, it is a translation of your home license into other languages. It does not give you privileges you do not already hold and is not a substitute for a license. Getting hold of a bike or scooter in South East Asia is very easy. You’ll find an abundance of garages and rental services across whichever country you are in offering a range of two-wheeled motors, varying in quality and price. Most of these places will not ask for any licenses or insurance papers, which is a concern, but hopefully you already have both. It isn’t an issue if they haven’t asked so long as you do have the correct paper work, because the likelihood is that it is you who needs them most. One thing you will need is your passport. A lot of the time you will be told to leave your passport with them while you take the bike, as a type of deposit. You should never do this. Instead, ensure that you have a printed copy, as this is can also be accepted. There is every chance that the garage, or similar, will present to you a bike which really is of their choosing. In truth, most of the bikes are the same and will get you from A-B, but you do need to do a few checks before setting off. Firstly get on and just ask if you can ride it around the lot. Test the breaks, steering and accelerator sufficiently so that you know you are covered on those parts. This also proves to the owner that there could be something wrong with it, if you point it out, rather than them blaming you for something you didn’t do when you return it. Another thing to do at this stage is to take photographs. There is every chance that your bike has picked up a couple bumps and scrapes along the way. This is a chance for you to point out any marks and dents before you go. Scooters, mopeds and anything with a 50-125cc engine dominate the roads, particularly in the city. Now while this can be daunting and a chaotic mess, it is actually quite reassuring. This mode of transport is so much more popular and customary in this part of the world, which means that other drivers and pedestrians are used to sharing the roads with them. What side of the road will you be driving? If you’re a less experienced rider, you need to consider whether you prefer a rear or front break. Too much pressure on front and you can end up going over the handlebars. Aim to have your left hand over the break when riding and try to use it 90 per cent of the time. We would also recommend wearing gloves. You can’t help but put your hands out in front of you when you are falling and this doesn’t change when you’re coming off a scooter. Wearing gloves will really help against the impact. 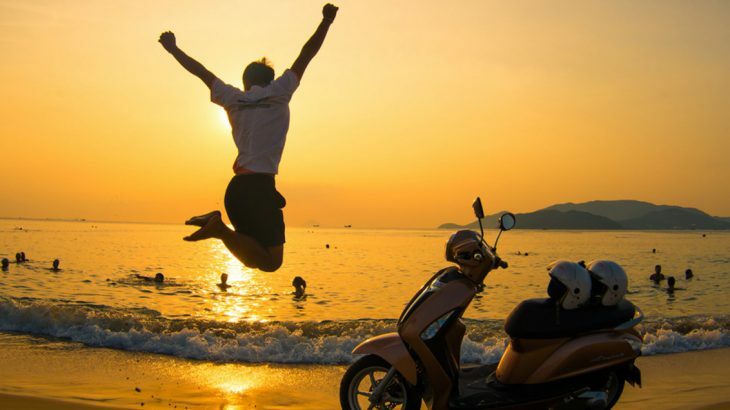 There is so much joy that can come from riding a scooter or motorbike around South East Asia. If you do have time when on a Vietnam holiday then hiring a bike will guarantee you the best chance of exploring most of the region. Just take our advice into account then you will enjoy one of the most amazing riding experiences possible. Book an escorted tour of Southeast Asia with the UK’s leading Asia Experts, Wendy Wu Tours. Our fully inclusive tours visit all the major sights of Vietnam, Laos, Cambodia and Thailand for an unforgettable holiday. Cambodia, Laos, Thailand, Vietnam adventure, sightseeing, transport, travel. permalink.